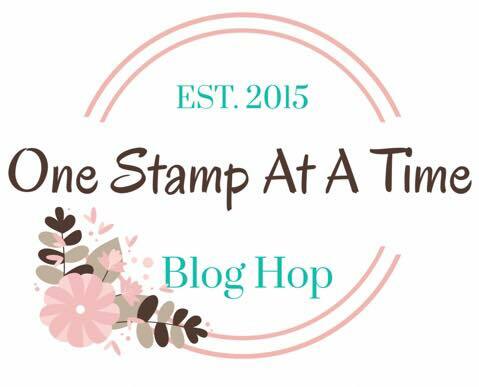 Hello and Welcome to the February OSAT Blog Hop. 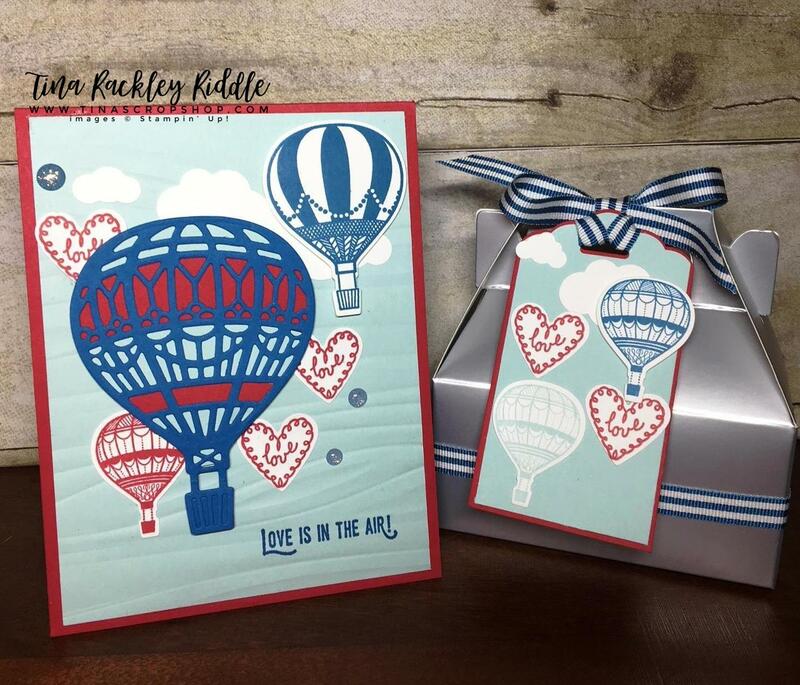 If you've already been hopping then you know we are riding along with a Love theme this month a.k.a. Don't Go Breaking My Heart! Honestly.. February really is the month of love, right? Not only is the 14th Valentine's Day but February 18th is my Anniversary! Jeff and I will be celebrating our 10th Anniversary this year and it seems like it has really just flown by! I think the saying goes "Time flies when you're having fun".. well we certainly have been having a lot of fun. It is certainly nice to have a wonderful life partner! Well back to the Hop at hand....I really wanted to use something out of the Annual Catalog for my card and after doing a quick inventory of my stamps, it seemed a hands down decision to use the Lift Me Up Stamp Set and the Up and Away Thinlits Dies! I went simple with my color scheme.. Real Red, Pacific Point, Soft Sky, and Whsiper White. Here's the front of the box with the card.. I wanted to add a tag but with the tag on the front, it hides the "Love You" oval so I added the tag to the other side. I felt like the color combination and the addition of the striped ribbon to the box made it feel a bit more masculine. Thanks so much for stopping by! Please make sure to stop by all of blogs for lots of inspiration. If you are interested in any of the products used, I'll have links below the Blog Roll!